Anthem subreddit is abuzz right now with various posts about BioWare and the recent Kotaku revelations. Anthem’s development hell took a toll on the mental health of its developers. The report extensively detailed how developers cried, left their jobs, and some went on doctor-mandated mental health vacations for months. 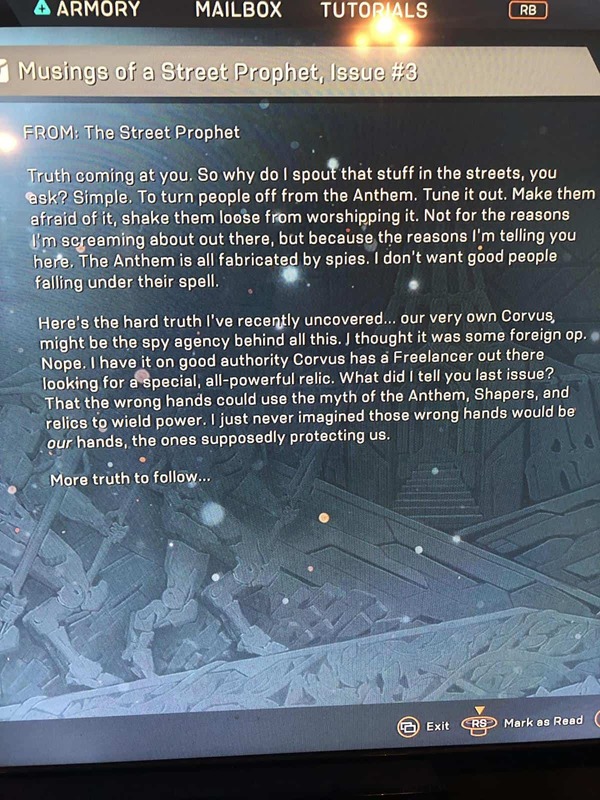 Since no one was listening to their feedback and issues about Anthem, it seems the developers placed messages within the game for players to later find. And when you read through some of the text dialogue in the context of Kotaku’s reports, and BioWare’s own admission of the issues, it truly breaks your heart. Here’s what Anthem’s subreddit is discussing at the moment. One of the commenters on the post broke it down to possibly uncover the hidden message. Maybe the writer used their experience working on the game to inspire that ‘truth,’ one Redditor wrote. Pirndal Blatch dialogue in hindside seemingly tells the mental state of one of the developers, a developer who is probably considering quitting his job, is tired of the corporate structure and wants to explore other opportunities. The stress for developers stems from working under incompetent and indecisive leadership. To make matters worse the developers had a disastrous experience working with the Frostbite Engine. Anthem’s engine isn’t suitable for creating open-world looter-shooters. E DICE created Frostbite Engine to developer shooters like Battlefield and Battlefront. However, in order to save third-party engine licensing fees, former CEO Patrick Soderlund forced the use of Frostbite across all of EA studios. The relying on crunch time to pull everything together backfired for Mass Effect Andromeda and now Anthem. The good news is that BioWare is making efforts now to change its internal development culture. 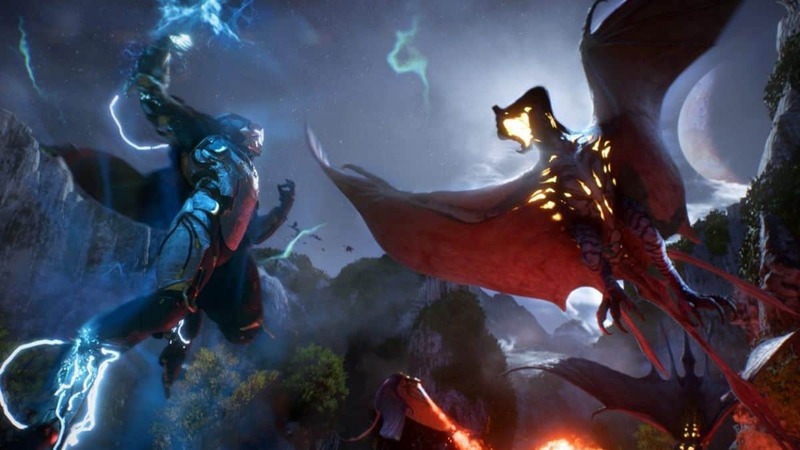 In an email sent out to the developers of Anthem, Dragon Age 4, and all others across the studio, BioWare leadership called a meeting next week to discuss issues and changes that need to be made. Anthem subreddit and media played a key role following Kotaku’s report in order to force BioWare to change.